Just outside the exhibition entrance. 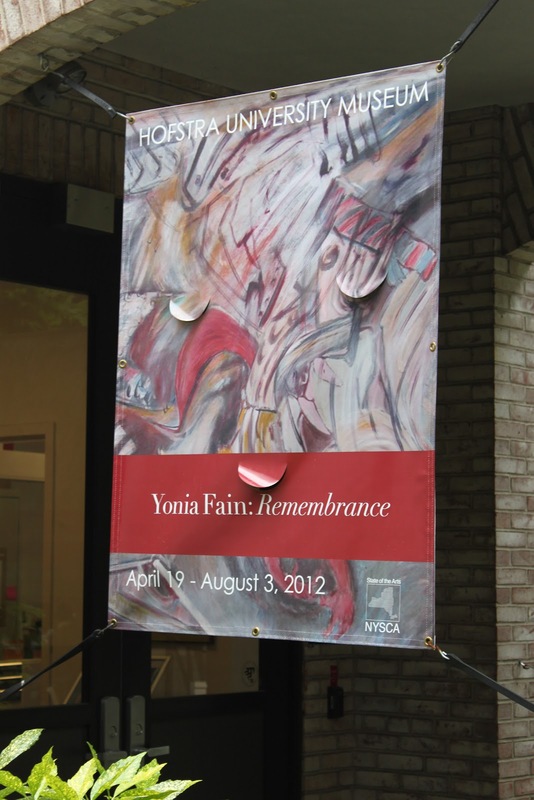 "Painting tragedy is to overcome tragedy, to control tragedy," says Jewish painter, poet and former Hofstra University professor, Yonia Fain. Throughout his career, Fain has controlled the tragedy of his past in moving visual works, which are the focus of the retrospective, Remembrance, currently held at Emily Lowe Gallery on Hofstra's campus. Fain's work deftly evokes the brutal sorrow of surviving anti-Semitic persecution through lively, hopeful colors reminiscent of expressionists and Mexican muralists. In fact, muralists Diego Rivera and Rufino Tamayo were two of his closest confidants and supporters following a move to Mexico City in 1946. Fain and his family have lived all throughout the world, following their cultural diaspora from Poland to Japanese-occupied Shanghai. In 1953, he moved to New York (where he resides still) at the behest of the aforementioned Tamayo. 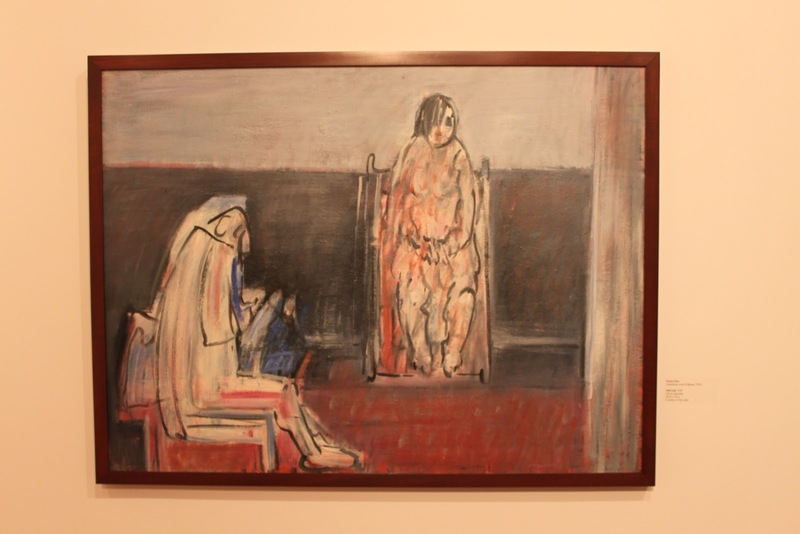 Lowe provides a perfect space for works from every stage of Fain's career (1959-present). Being a bit of an art-buff, myself, the idea of an exhibition by a well-traveled and renowned artist on campus definitely intrigued me. The thing of it was, I wasn't too familiar with his poetry nor his paintings and unsure what to expect from him, how he would represent his harrowing experiences in his work. What I found was a beautiful mesh of expressionism and abstraction. Works such as Still Life (pictured below) convey the stark melancholy of those living with memories of the Holocaust while honoring their humanity whereas the newer multimedia pieces illustrate the continuation of the human struggle, suffused with the vibrancy of hope. I found myself entranced before each image, eyes affixed, taking the journey from despair to hope with each painting. The "most astoundingly wonderful" humanity pours through Fain's re-envisioned Still Life. Yet the exhibition doesn't stop at Fain's paintings: a touch screen podium situated against the back wall details the artist's life through his travels (via digital timeline) and even a selection of his poetry. As a man who intimately faced the horrors of persecution and the suffering of refugee life, Fain brings a wealth of tragedy to the fore. And yet, like all great tragedy, the impact of his work is not demoralizing but instead inspiriting. As he himself says, "There is something in humans that is most astoundingly wonderful," and whether they are dispossessed or have been disregarded, Fain ensures that this ineffable, wonderful thing remains in each of his subjects. Remembrance will run in the Emily Lowe Gallery until August 3. The exhibition is free and open to the public Monday-Thursday from 10am-5pm and Fridays from 10am-4pm. 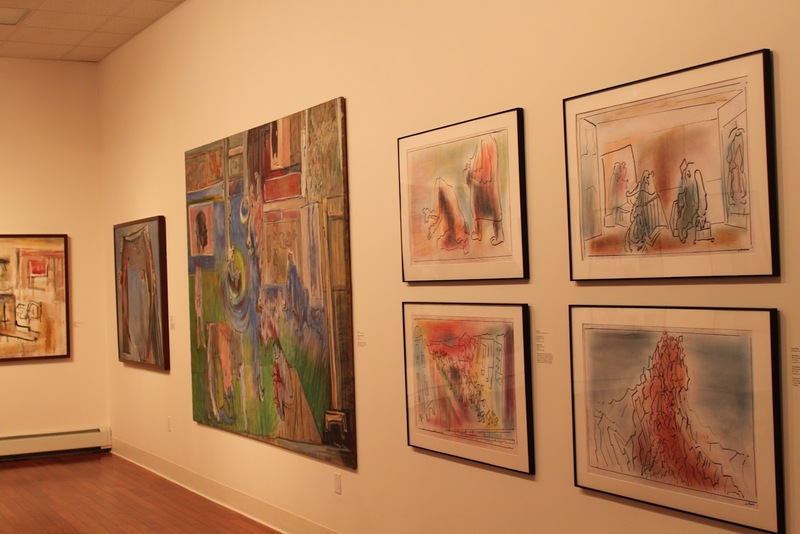 Don't forget to check out Hofstra Museum's exhibits. They are always amazing! Hofstra Career Center: CAP AND GOWN! RA of the Month for April! Clean Streets & Doggie Treats! Active Minds works to "Send Silence Packing"